Some units eventually received as many as 10 20mm guns. The Tacomas were completed in 1943-44. They were an American version of the British “River” class, with stronger bows, welded construction, and less reliable machinery. Built in Maritime Commission shipyards under Navy contract (as type S2-S2-AQ1), they had better range but were less powerful than destroyer escorts. Their twin screws and rudders gave them unusual maneuverability. 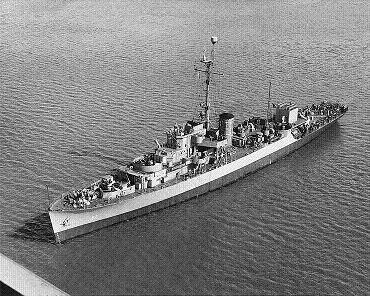 Only 96 were built and half went for Lend-Lease (as the British "Colony" class), indicating that the U.S. Navy was not terribly impressed with the frigate concept. The crews were usually Coast Guardsmen. Most of these ships were transferred to Russia as Lend-Lease or taken in hand for conversion to weather ships (by replacing one 3" mount with weather instruments) as the war was winding down. Only those transfers or conversions that took place before 15 August 1945 are listed below. The ships cost about $2.3 million apiece. Many of the frigates were built by Great Lake shipyards, and they had to have their masts stepped down and to be equipped with pontoons for the trip down the Mississippi River.